Is Alien: Awakening, the supposedly titled Alien: Covenant sequel already secretly in production? 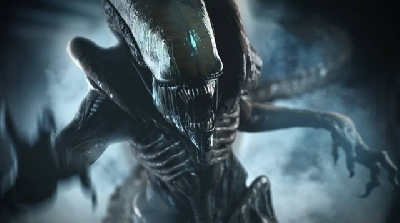 With so much doubt concerning the fate of the Prometheus sequels, especially considering Disney's attempts to acquire 21st Century Fox's film assets - any potential leads for another Alien film is music to our ears. Although the studio have yet to announce anything concrete or official regarding the fate of Alien: Covenant 2 aka. 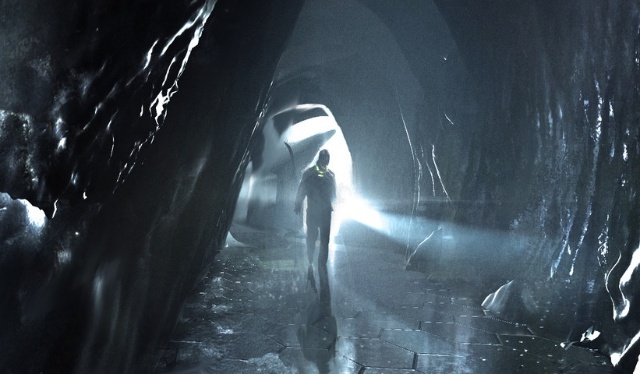 Awakening, concept artist Wayne Haag, who worked on Alien: Covenant, recently dropped a potentially juicy hint at the fact that Ridley Scott is already working on his next Alien film behind closed doors. Well played Wayne... well played. Although his response is cryptic and dismissive, we can't help but wonder if he is in fact dropping hints that the Alien: Covenant sequel is currently being worked on. Why else would he need to keep quiet about what Ridley Scott film he's currently working on? As it stands currently, it is looking like Disney will out-bid Comcast for the rights to Fox's film assets, which would mean Disney will produce any forthcoming Alien movies - but fans need not worry, because just like Scott himself mentioned months ago - they'd be crazy not to continue the story. As we learn more about Alien: Awakening, keep it locked to Alien-Covenant.com! 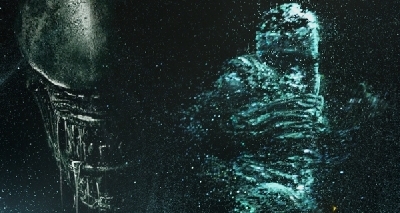 45 Fan responses to (UPDATED) Alien: Awakening - Is the Covenant sequel secretly in production already? Good point could be a pitch ploy. Can this be about the Merlin saga as many recent Scott collaborators were on board for that? All in all, if this continues strictly with plan RS had before the launch of Covenant, I'm not interested. I wonder if it will be Fox or the new owners who make the decision to go forward w/ a new movie? Looks like a tease to me. Surely he would know fanboys would hyper analyze a tweet from him. Watched Prometheus the other night. I believe it came out in 2012 and it looked good. Thanks AC! 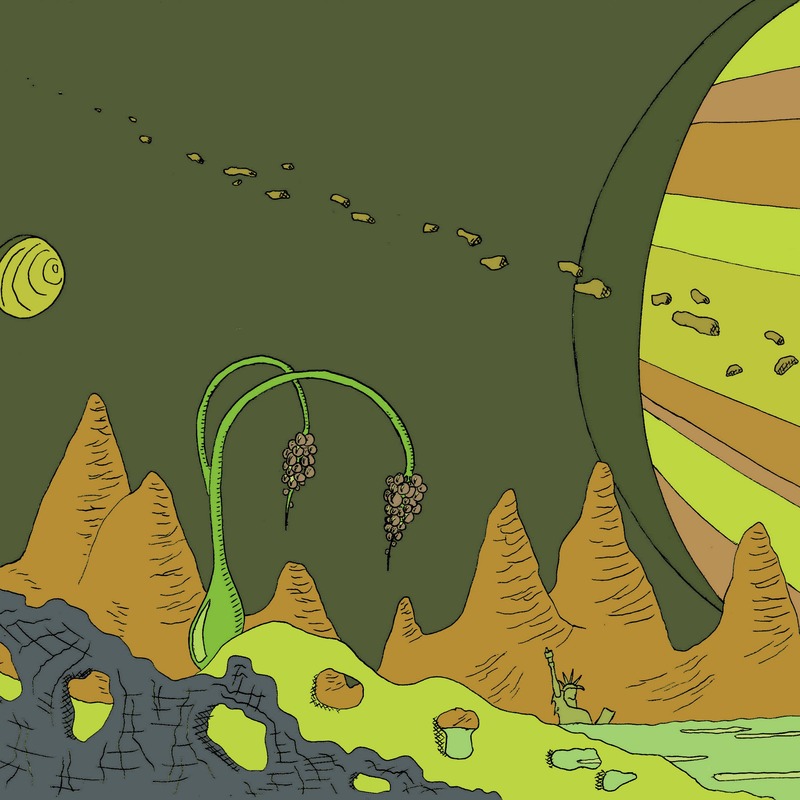 Updated the piece, unfortunately Wayne has confirmed his comments were not linked to Alien. Is he redecorating Scott's house? But in my mind he did not 100% denied working on an Alien movie, or a Prometheus movie :P, but most likely they are working on the Merlin Saga. Prometheus was a masterpiece. Covenant had its moments. Seems to me Mr. Haag confirmed it with his coy "..did you say something?" response. Then the powers-that-be clamped down and he was reminded things are "off the record, on the QT, and very hush-hush"
Exactly. A simple "no" would suffice. Playing coy with "did you say something?..." just sets us up to assume he's trying to allude to something regarding the question he was asked. Quite a few people responded to his tweet referencing Covenant and he decided not to clarify for them either so... only when we post about it does he clarify his words? Seems odd, for sure. As I suspected, it sounded like a deliberate effort to poke a hornet's nest of fans. And then the righteous indignation- to paraphrase, I am an artiste. Do not misrepresent my words. LOL! Considering the update to this news I find Haag's comment somewhat abrasive. As mentioned his coy inference seemed to be playing with the fans, especially in response to the fans direct questioning about an Alien Covenant sequel. Yet he directly slates us for questioning said inference. We did not misrepresent his words in the slightest, if anything we highlighted the inference he knowingly and purposefully made. No need to cut off our nose because some studio rep likely chastised him for pre-emptively speaking out. Of course, if he is not working on the Alien Covenant sequel then he should have shot down the fan who mentioned the Alien Covenant sequel, not us. Very unprofessional and needlessly aggressive conduct from Haag IMHO, yet twitter fans will only see our name being dragged through the mud, yet again. On the other hand, Predator is making some major buzz around here lately and there could be some limelight envy. "Hey! I am still here and still doing things. Great things! Important things! Look at me!" LOL! You would think he knew how to use social media tools but that may be assuming too much. He does sound Hollywood with the "...don't misrepresent my words" crack. For the record never heard of the guy until AC. You know what's unprofessional. Chris. Wayne was having a conversation with his concept artist friends. 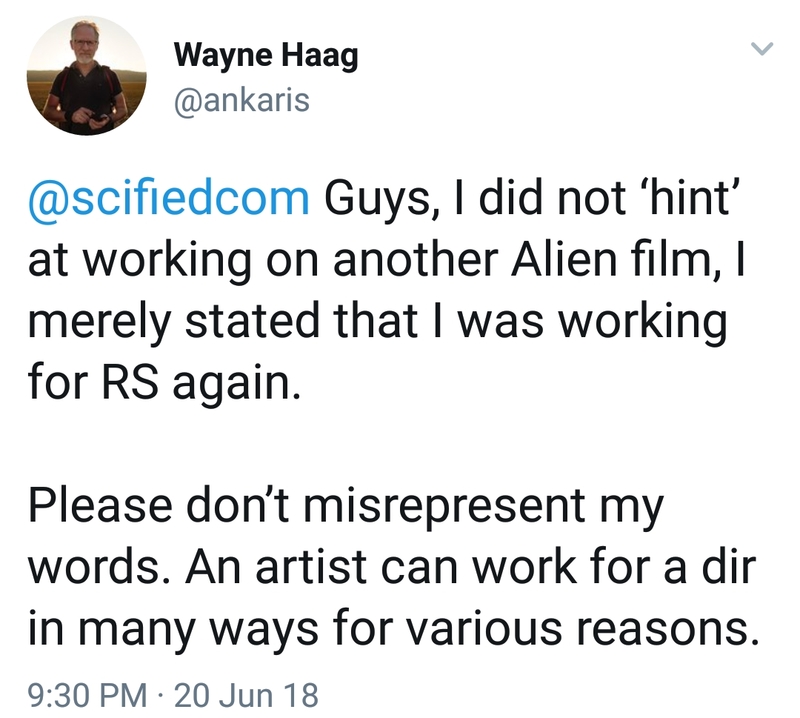 The tweet was reported on a month ago, with Chris acknowledging that just because Wayne Haag is working with Ridley Scott doesn't mean he's actually working on an Alien movie. So then he posts this click bait article to rile you up and you end up attacking Wayne Haag cause he abided by his NDA. Good luck to your website Chris, word is spreading that you're just in it for the clicks. Gavin why don't you confront Wayne yourself? Have you ever had to sign an NDA? Are you willing to pay for Wayne to break it? No? Then be quiet. Chris you sir are a disgrace. Woah. Nobody attacked Haag, for one. Secondly, we weren't the only outlet to report on his tweets. Haters gonna hate, but I will continue to report on potential leads as they arise. Good luck making friends with an attitude like that. Hope that this not escalates into another Mr Whatever Reviews debacle. Checking the dates of the tweets posted against this article, I agree that Chris' speculation is sadly misguided in this case. 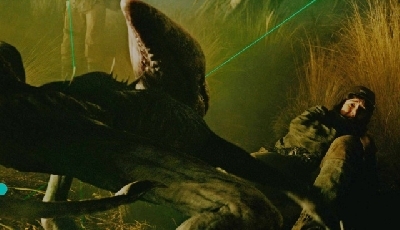 But, in a small, if irrelevant defense Haag did not shoot down Rob Turpin's question of whether or nor Haag was working on an Alien Covenant sequel, thus neither confirming nor denying the possibility. This in and of itself could suggest, though the likelihood is small considering Scott is currently working on Merlin, that in some way (likely small), Haag may be working on some concept art for an Alien Covenant sequel as part of the movies development process. 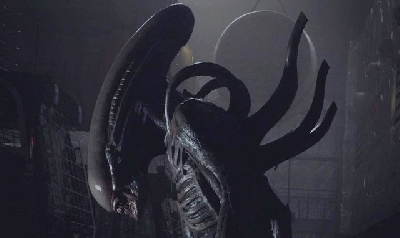 As we all know a movie being in development does not mean it is in pre-production, and considering the current bidding war for 21st Century Fox's IP's and assets, the likelihood of an Alien movie being greenlit in the next year or two is unlikely. I still hold however that despite the misguided speculation in this article, the article is merely that - speculation. Here at Scified and Alien-Covenant.com we have a large Alien fanbase, most of which are eager for any news, rumors and/or speculation on their favorite franchise. This article speculates, the possibility, if however far-fetched, of the sequel to Alien-Covenant being secretly in pre-production. This article is not news, nor a rumor, just mere speculation and nothing more. If anyone has been upset by this article then they clearly did not read it, for if they had they would understand it's nature (hint - most speculative articles end in a ?, such as this one). As for your comments about NDA's, the fact that Haag neither confirms nor denies what he is working on further suggests the possibility that he is held by an NDA with Fox/Ridley, because if he was not he would have been able to answer Rob Turpin's question more directly. But to your claims that Chris is only in it for the clicks and your article/podcast with the illustrious Mr H in which you vilify this speculative article and Scified in general. Every news platform, big or small, runs speculative articles. Its a way of engaging the fandom in discussion when news is at a low point while keeping the subject matter (Alien in this case) in the public eye. For two years every Youtuber and news site under the sun ran the exact same type of articles postulating theories about Rey and Snoke. Were any of these sources attacked for their speculation? No, they were not. Yet whenever we here at Alien-Covenant.com do the same we are slated as heretics and clickbaiters. Months back we posted the rumor that was spreading that the Alien Covenant sequel had been canceled, stating quite clearly that it was a rumor and nothing more, and likely held no weight. The guest on your most recent podcast Mr H then posted a video shortly afterward mirroring the same sentiment as our article to warn his fanbase of the rumor, unprovoked he then slated our article as clickbait - are we not allowed to post rumors and warn our fanbase away from them as he later did. Scified and the sites that make up our network are run by and for the fans. We have in no way, shape or form inferred that we are officially affiliated with any studios or the IP's we cover. Anyone who infers that we are official is not only ignorant of the fact that we are not verified as such on any social platforms, but also of the attribution found in the footer of all our sites that clearly states we are "a fan-created website". As such everyone that posts news on our network, regardless of their "rank" is an amateur journalist, and while we all take the best efforts in any articles we post to cite sources, there is always a chance that an article can be misinterpreted or received negatively. Also, there is always the chance we may make mistakes, for we are not infallible, and have never claimed to be so. However, unlike other fellow amateur journalists, we do not attack or vilify, as doing so would not only create needless drama, but would only serve to agitate and divide the fanbases of both ourselves and those being attacked. We all may have opinions, but that does not entitle us to share them. Opinions shared should be shared responsibly. Those that do not only serve to further the toxic reputation most general audiences perceive exists within fandoms such as ours, yours and any other website. In other words, play nice or not at all. That is how we here at Scified and Alien-Covenant.com play, why can't you? And if you don't want to play nice, leave those of us that do in peace. Everyone is free to interpret Mr. Haag’s comment however they see fit. First & foremost, Chris is a fan just like the rest of us. He was sharing something he knew would likely ignite a spark of hope, positivity & interest for many of us on the Covenant forum & elsewhere. There’s no crime been committed! Yes, sometimes we clutch at straws, grab any snippet of information & probably over-analyse, or jump to conclusions. Basically, that’s because we are trying to keep some faith & remain upbeat at a time when the Franchise we care about is in a state of limbo. The way you treat people will be remembered Chris. When you mistreat your followers on more than one occasion it is really bad form. Word will get around about how you react in this instance, and the next and the next. And do you think the concept artists don't talk to each other? Or people in the industry? So yes, you followed a potential lead. Without actually checking with your sources, you also treated Wayne with the utmost disrespect and then you continue on this charade of not knowing any better. Gavin You're right, you have every right to interpret information any way you like, but Chris a site administrator, has a responsibility for not overhyping half-truths. Believe it or not you have a responsibility with the power you yield. Chris You missed vital parts of the conversation and then pillaged information off Bloody Disgusting. The only way you are going to get information and potential leads is to act in accordance with journalistic integrity, I shouldn't have to tell you how to do your job. 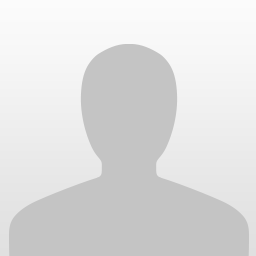 Why does this forum have problems with Mr Whoever Reviews friends? Why do they antagonize us in opposition to a corporate stooge, who clearly needed to keep his mouth shut if he signed an NDA (I don't care here about his artistic talent, as he was ego tripping)? What half truths are you talking about? You are grinding axes here, so as I stay out off your dear friend H's videos, could you leave us alone in our "cesspool". Is it journalistic integrity when in a 30-minute podcast labeled to be about the recent bidding war for 21st Century Fox you spend over 20 minutes perched upon a presumed pedestal of superiority while dragging a site, of which you are inexplicably a member, through the proverbial mud for running a speculative article. Is it journalistic integrity that in said podcast you are joined by a YouTuber friend who mere months ago needlessly attacked said site on his preferred platform of YouTube before reiterating his attack on the site in question even though the initial purpose of their video mirrored that of the article it berated - to inform and warn their respective fandom of a rumor. This isn't our job. No-one gets paid for posting articles on Scified. As fans, this network of sites is our hobby, our pastime, our escape. We have bled years into making this small corner of the internet our own. 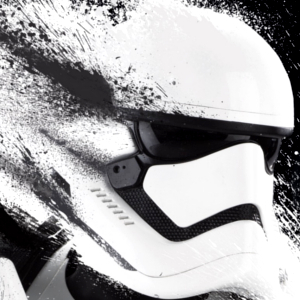 Throughout our endeavour we have been hacked, plagiarized, insulted, taken advantage of, and even abused by the very studios we are providing free advertising to. This article now has over 20,000 views. In part because of this needless drama you and your YouTuber cohort have instigated against us, but also in part because we have a lot of non-vocal fans and followers who associate with our network and our community of fans of which we are part of. I find it perplexing that you are attacking the very admin and community of a site you have previously been an active part of. Did someone here offend you in some way and you are now lashing out? Or is your attack a bid to gain an audience of your own for your fledgling blog? For me that "I'm sorry, did you say something?" 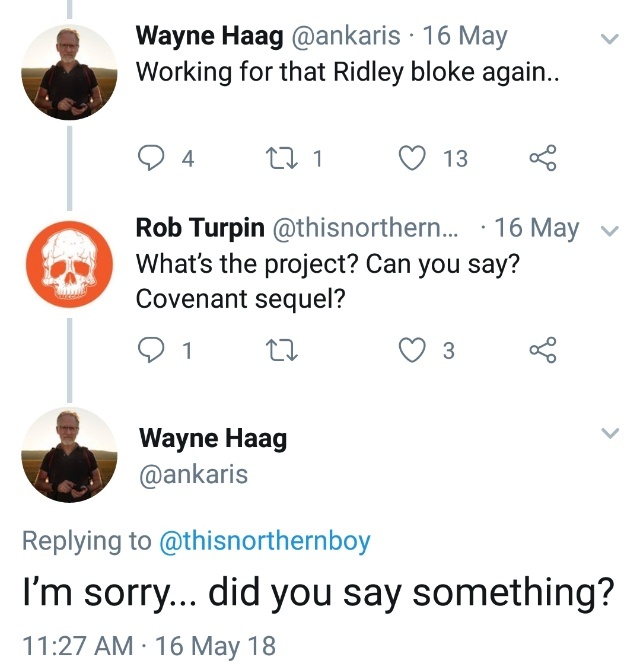 from Wayne Haag sounds like he is tired and irritated by our obsessive questions about the Covenant sequel. I don't think he is held by an NDA, it's just he simply has nothing to share on this topic and he is frustrated by misinterpretation of his words. Misinterpretation that was not at all deliberated, people just want to get their toy back from Dismay. I lost all hope to see a Covenant sequel from Ridley Scott. Speaking of Mr H. You sadden me brother. Blocking me on Twitter without question simply because I am affiliated with this network, despite not being provocative in anyway. I am simply a fan, and new to Twitter. My position has always been that any friend of the Alien fandom is a friend of mine, and I have been a longtime subscriber to his channel. Good luck with your blog MU/TH/UR 9000. Look if I came off harsh I apologise, I have spoken to Chris P on facebook and this is not the first time he's done this. The only person dragging Scified through the mud is him when he does this. I understand I have asked in the past to not plagiarise information that has been posted to my blog, I have noted two times this has happened and I approached the people in question and asked that the information is taken down. I also spoke to Chris P on Facebook and he assured me it won't happen again. The things I don't like that have been done have been addressed and always remedied. I suggest you write up a code of conduct for your site and perhaps have your contributors read up on these two article links I have posted here. I am fairly new to blogging and podcasting so I appreciate any feedback. But in all honesty, Chris P took advantage of people's goodwill time and time again and I have no problems with calling it out. And if you're not hearing any news on production or anything it's probably because it isn't. The type of article this is, speculative or not was initially misleading and really Chris to learn from your mistakes you have to admit you've made one. So if I were you I'd publish an apology, take steps to ensure it doesn't happen again and also try to hold your contributors to a standard you yourself wish to achieve. And I will always be around if you need any help, saying I told you so is what muthur's do best. As with a sentence, when an article title ends with a question mark it denotes that is asking a question. A question is speculative in nature and is not a statement. Thus, because it ends with a question mark this article is speculative and not a statement, therefore this article is not news. Because this article is not news, the claims that it is "fake news", and the accusations that we are spreading "false hope", both of which can be found within an article on your blog are therefore unfounded. In an article on your blog, within your recent podcast, and in your comments to this very article here you have instigated, perpetuated and continued an unprovoked assault against our admin, our network, and our reputation. You have also instigated an organized boycott of all of our sites and social media pages. Not only are your claims against our practices, admin and content unfounded they are merely an echo of those directed towards us recently from the YouTuber Mr. H Reviews, which were just as unfounded then as they are now, as I have covered in previous comments. What is worrying and telling both is much like a vegan eating a beefburger is that you deem it appropriate to berate and vilify us while masquerading as an active member of our network. If you wanted exposure for your fledgling blog you could have simply asked and we would have gladly promoted and supported your endeavor, and extending our years of experience and practice to help you succeed. Instead, in your naivety and like many before you, you have deemed it fit to further yourself at the expense of others by falsely accusing said others of the very unsavory practices you and your associate openly support and practice. Unprovoked and needless attacks and the drama they generate are only ever instigated by those looking to benefit from the naivety of those drawn into said drama and in the vain hope that those which they attack will inadvertently glorify the instigator and their ego. Being acutely aware of this we will not be drawn into yours or Mr. H's circus of deceit and therefore we the admin will no longer justify your existence by participating in your charade. As such, like with your associate before you, we bid you, MUTHUR 9000 a disheartened farewell. Can you also close the topic? MUTHUR9000 is gaining an audience for her "fledgling blog" because she's actually getting out there and generating content by talking to lots of people who are actually involved with the franchise, rather than just repeating news items source from elsewhere. Lol surprised to come back to see this thread is still going this way. Clara (aka. MUTHUR 9000, aka. Yutani blog, etc...), You reference an April Fool's day article as credence for your attack on us? Haha please. I'm in find standing with many in the industry thank you very much. Also, I did not reference news from Bloody Disgusting, in fact someone on these forums shared the news from I believe it was Horror Freak News? I would need to double check but I used Haag's Tweets themselves as the resource for this post. Attempting to cause drama on a site which you do not own or are affiliated with in an attempt to gain exposure for yourself is cheap and smart, but sadly will only create a certain impression of who you are and how you operate. Also - to insinuate I copied content from your rather small and relatively unknown blog is a bit of a reach as well - and rude. I'm sorry to offend but I do not visit your blog, I think I may have come across it once through a direct link share on Facebook which you posted - beyond that I do not use your content for anything of value here. I would thank you not to throw accusations of copyright infringement around as insinuating so is considered slander - something you may wish to educate yourself on as well. Not something I'm surprised by however, from someone who collaborates with "Mr. H". I've run this site for 8 years just fine before you and will continue to do so well after you. I don't think I need any advise on "how to do my job". Thanks, though. @S.M, nice to see you on the forum again! Although your contributions could extend past defending delusional members attempting to get a rise out of others. You usually have a lot more to bring to the table, which I would hope to see in more productive and positive topics. 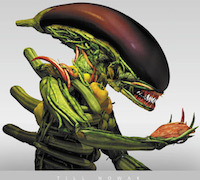 Now, let's get back on the topic of ALIEN - not senseless internet beef and drama from those with a complex. Yes, let's get back to the topic of ALIEN. @Chris - I have no beef with you, and I don't watch Mr H videos. Clara, however, is a (far from deluded) mate and she's doing a cracking job creating new and interesting Alien related content. I thought Gavin's assertion was unfair. I don't expect to be actively engaging further, however. @S.M. - How is my assertion unfair when everything I have stated about Clara's attack is 100% accurate. Read her article titled "Disney Fox Acquisition - Episode 12 - Yutani Podcast" and listen to the accompanying 24:24 podcast. As with yourself, this community has been nothing but supportive towards MUTHUR, which makes her unprovoked assault that much more of a betrayal. Hey like I said, I have had issues in the past with Scified copying my stuff and it was fixed up. I do however hold anyone in the community responsible for besmirching anything including their own website. And I am glad you caught that it was Horror Freak News Chris, I was just testing you were paying attention. So you know if you find the information you should also clarify it, and the other tweets which you missed before they were deleted didn't say Covenant was in production. I believe several people contacted you when you started sharing the article to make sure you knew you made a mistake. I know my blog is little and your site has massive amounts of exposure. But please don't take me holding Chris P accountable as a reach for followers. I have had my blog and name removed from this site because I didn't feel comfortable with content I worked hard to get to be put on here so Chris P could make a buck, to be honest. But look, obviously you have your set ideas of what I do. And you guys have a reputation of stealing information and headlines and even topics to post to this site without crediting the authors. I just want this place to become a respectable haven for people who love the Alien movies. Not a place for a person like Chris P who takes advantage of people in the fandom for his own gain. So again, I am happy to help and point out every time you may need to correct something, credit someone or apologise. @Any Admin. can we close this already? @MU/TH/UR 9000 what did Chris stole from? if you accuse him let us know what so that could judge him fairly, but I have the vague idea you won't. Thought we were all "family" ? "And again I would never ever ever want any article of mine to appear on this site. EVER." That's fine and I totally respect that, I want you to feel comfortable here. I have instructed the moderators to keep an eye out in case anyone posts links to anything from your site. I can't guarantee we catch everything in time, but when we do I have told the mods to inform me asap so I can remove the links myself. I always try and reference any source information if i am referring to anyone's work etc. I guess its just good Etiquette as far as Clickbait i know this site gets attacked by certain individuals from certain other sites for this place just being that... yet there site also has adverts..
Its how Sites Pay for themselves or else they WONT exist, i think this site has been pulled up a few times by others for Potentially trying to Lure people in with Breaking News thats not.. There was the April Fools Jokes that never went down to well.... but i cant not speak about the intentions of the site as far as misleading. I get the impression that the Staff here are providing a Site that allows Users to Freely discus Subjects related to the Alien Franchise and others. its a case of how easy things can be misinterpreted and who knows what the real deal is. Wayne Haagg is a Concept Artist who has more than just Alien movies to his BOW the kind of Work he does is especially suited to EPIC sets/scenes as far as Matt Painting for Projects like MERLIN and it could be that Wayne gets his fair share of messages regarding the Next Alien Project... and people jumping on the Bandwagon that everything he is doing next could be connected. Must get a bit Tedious to him at times. I think we needed to look at the Likelihood of any Alien movie being in Production, i think with the Result of Alien Covenant and Take Over Talks, i would assume not much is happening behind the Scenes. So if Wayne is working on a Project that he cant say what, even if its Merlin he cant say what he is working on, and maybe even what he is not. in Hindsight his reply should have been something like "Sorry Cant say, but its not Alien" but then maybe under a NDA this then would leave only Merlin? But we have to Remember Ridley Scott works on Many Many Projects and NOT all are Movies... And i am sure a Director like him would always be willing to use Concept Artist/Matt Painters he has worked with before, just as much as he works with some Actors he has worked with before. 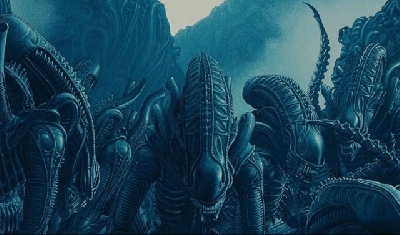 ONE thing is for Sure... Ridley Scott would hope to get a Green Light on his Alien Saga and it would not be surprising if Wayne Haag is on his list of people to get on board to do another FANTASTIC job. But Unfortunately neither OWN the Franchise and so they really cant have any real impact on determining IF/WHEN the Next Movie Happens.. Ridley Scott would LOVE to make another, and you can be sure Wayne Haag would love to work on it... but its out of their hands and so i think it can be frustrating for them to be Quizzed about the Project that they have NO control over. So i can totally see where Wayne Haags reply came from.. It's all good, Chris P has so graciously thanked me on Facebook for trying to help out and all I really want is for this site to do better. And just to make sure I have my friends everywhere keeping an eye out. As for the articles plagiarised, I am going to blog about it, show all the facts so there really can't be any mistake about what happened. As for instances Chris P has posted ideas lifted from Facebook and posted it as his own, that's not my battle I understand. For whoever has been affected I am here if you need me, I pride myself on pointing things out that are inaccurate because that is my nature. Thank you Svanya for hearing me out and I do appreciate that you'd go through extra steps to make sure of my comfort here. Don't get me wrong, I love it here. When your community posts stuff it is amazing content and I even promote my favourite posts from here on my Tumblr and always crediting the original posters. It's only fair. The internet can be a strange place where we are all really just finding our feet, so I will just chalk it up to what was done in the past is in the past. But let's not forget it or we can't learn from it. I wish you guys all the best and I hope that in future my interaction here will be a positive one. Whoever is responsible for what ever, an aggressive tone (even thought it is not extremely aggressive) usually does not make for an intelligent and thought out discussion. It is just entertainment connected to a movie. Please try to stick to civilized discussions. Emotionalism seldom does any good at all but at the same time it is important to give proper credit to whoever that has created something. 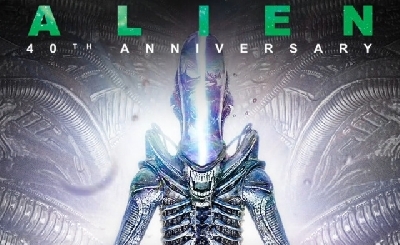 About the original topic: Just because he says that he is working for Ridley does not mean that a new Alien movie is on its way. The article is really about nothing concrete so I am not sure why it was written at all. 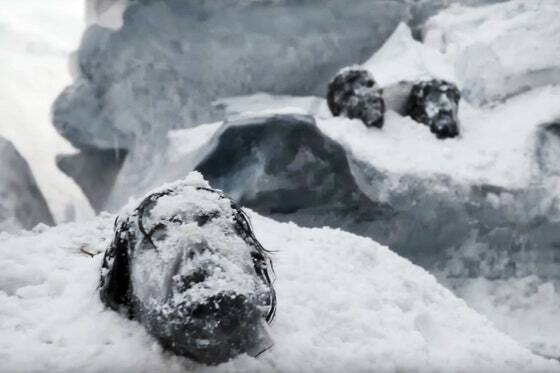 if i had to guess, i hink it would be from ridley scotts new show the terror. season two was greenlit afew weeks back. i would recomend it.